As a major foodie living in Japan, I have always had difficulty finding good quality cheese at the store. Cheese at the local supermarket is usually processed and import stores charge an arm and a leg for just a morsel. 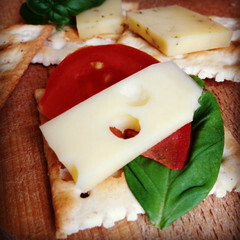 Craving good deli-style cheese, I found Bert’s Boerenkaas, an award winning Dutch cheese farm that delivers to Japan! Boeren means cheese and kaas means farm in Dutch. The pictures looked definitely mouthwatering, and prices don’t break the bank so I ordered a sampler set. Three large triangle blocks of cheese arrived vacuum-sealed in a wrapped and chilled thermo bag a few days later. They smelled amazing and I brought them to a nabe (Japanese hot pot) party with a group of friends. We had kimchi flavored nabe and cut cheese triangles into the pot. The cheese tasted incredible and was a definitely a huge hit at the party. Everyone was reminded of wonderful delicious melted cheese from home. 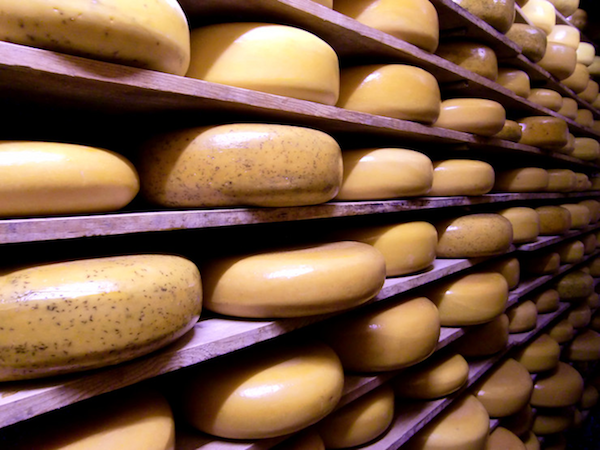 Bert’s Boerenkaas offers a variety of aged cheese ranging from one month to twelve months. The younger cheeses are creamy and mild, while the older cheeses have a sharp and rich flavor. Both are perfect for sandwiches, pizza, cooking, and snacks. Aged cheese in Japan usually goes for 2000 yen for 300 grams, but Boerenkaas offers almost double the portions with 500 grams at a fraction of the price. Shipping to Japan is a bit pricey, but you do save a trip to the supermarket and ordering in bulk with other cheese lovers is highly recommended. Hard to find tools in Japan such as cheese slicers, knives, graters are also available for sale. Bert’s Boerenkaas only accepts PayPal at the moment, but will accept all currencies at their Euro value. As I’m German I really miss cheese here in Japan. I sometimes find pretty good Emmentaler, Gouda and the likes from Switzerland, Germany, France or Holland, but they are very expensive indeed. Luckily they also sell feta and mozarella at some stores. I prefer shops like “Kaldi” and other import shops. In the countryside it’s more difficult to find shops like that. In bigger citites like Tokyo or Osaka it’s easier, also in cities with a lot of Western influence and thus a lot of Western cuisine like Kobe.